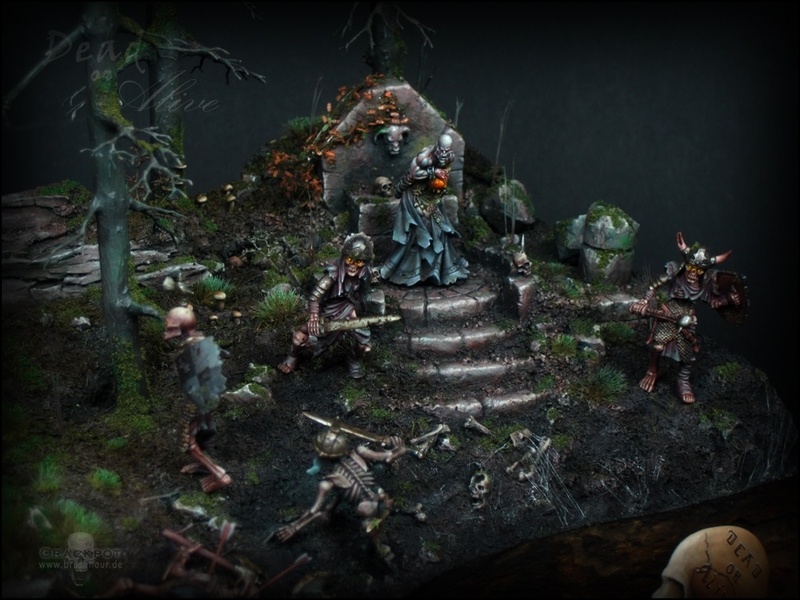 I finished my latest diorama and finaly managed to take some pictures of it. 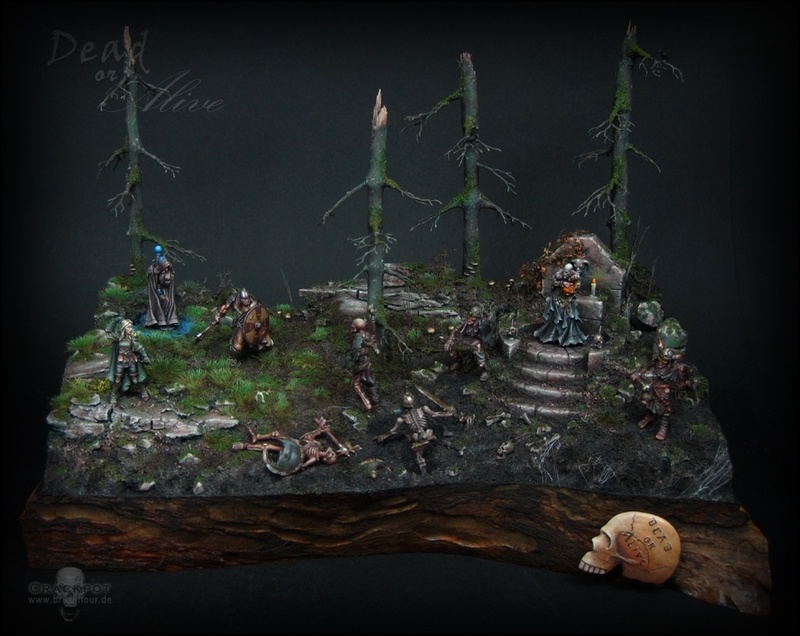 The miniatures are mostly from Red-Box-Games, just the skeletons are from Mantic-Games combined with Games-Workshop skulls. The base is build from scratch as usual. The foundation is build mostly out of multiple layers of cork and some tree barks for the rocks. The shrine is made out of styrodur and covered and skulpted with milliput. The trees are bade from some random tree branches and the small branches are made out of thin twisted wires. Some WIP pictures can be found on my facebook account „Crackpot Miniatures“ or in my Coolminiornot WIP Threat: http://www.coolminiornot.com/forums/showthread.php?53323-Crackpots-mingle-mangle"
This project took me around 2 1/2 months, which is quite fast for me for such a big diorama. 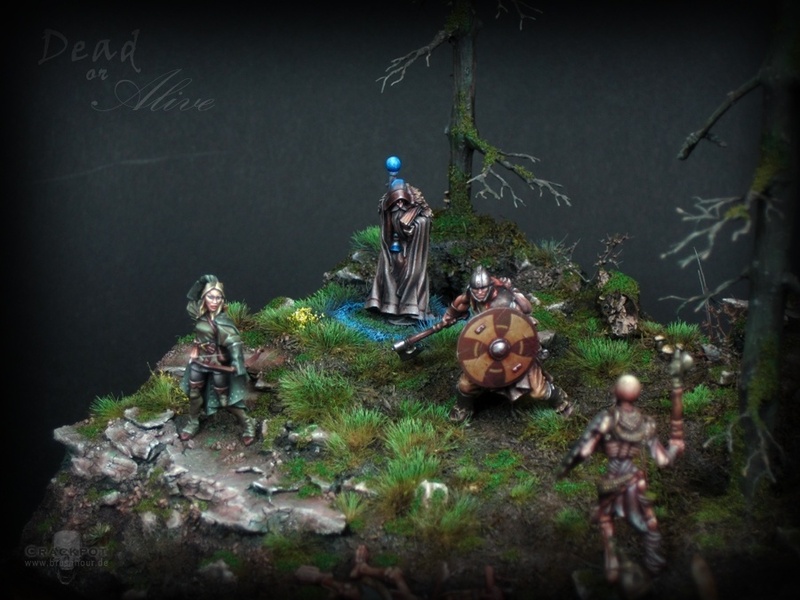 I think it is my biggest diorama so far with the most miniatures on it. Every miniature has it's flaws which I would try to fix if it would be a single miniature project, but I managed to accept these minor flaws and rather prefered a quicker completion. 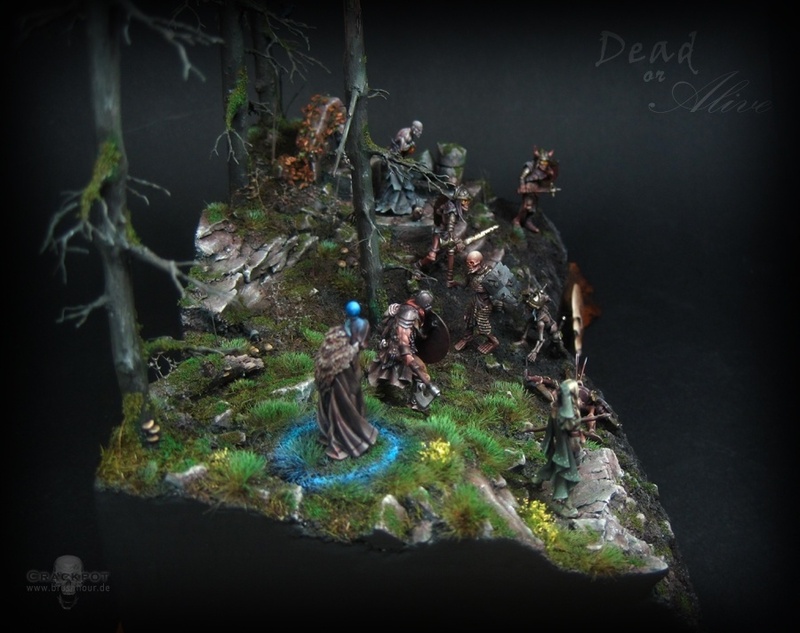 So I hope you like my new project "Dead or Alive" and comments, suggestions and votes are welcome! Du bist echt Irre :D So was cooles hab ich schon lange nicht mehr gesehen. Instabtly remind me a Medieval fantasy MMORPG, great atmosphere ! What an awesome piece of work Crackpot! Your dios are always a treat to view. The painting is fantastic the composition is fantastic and the scene tells the story very well. Fantastic work my friend!